Out there – haberdashers, writers of menus. Salt breezes! Bolsters from Istanbul! Barometers, full of contempt, controlling moody isobars. Spend hours – just moving some clear sleets across glass stones. Yalta: deck-chairs in Asia’s gold cake; thrones. But theirs, that I am living. And I wolf, bolt, gulp it down, day after day. Usually I’ll fall in love with a poem first, the poet second. But this time I first fell in love with a name. 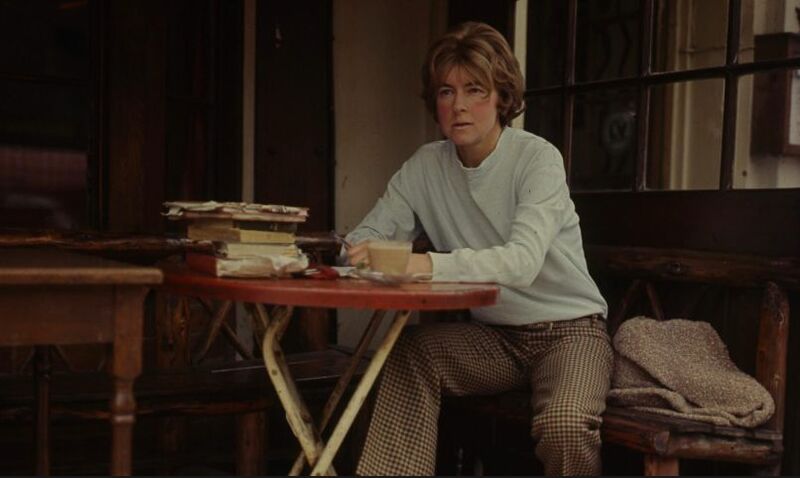 Rosemary Tonks. Can’t you just see Rosemary Tonks in her wellies and Liberty scarf, finding the dead body face down in her English village garden? Then I saw her picture. She looks like Doris Day, if Doris Day had a hangover and a dissertation to finish. Dress a beauty like that in tweeds and an oversized sweater and I’ve found my style icon. Her biography drew me in further. Tragedy, glamour, a single black glove, a mysterious disappearance. Throw in malaria and a manuscript burning in the garden incinerator and you’ve got a poet whose life story is as oversized as any of the male writers we revere for their exploits. Then came the poems. There’s not many on line, and all the English references can make them tough going—but three poems in and I had ordered a copy of her collection, Bedouin of the London Evening. These are poems crammed with cities and love affairs and cocktails, poems that make you want to live a big, big life and at the same time escape from the cynicism and darkness you find there. Reading them is like listening to a depressed Auntie Mame hold court in a seedy Turkish café or Sally Bowles in a college philosophy class. Not that I fully understand a single one of them. 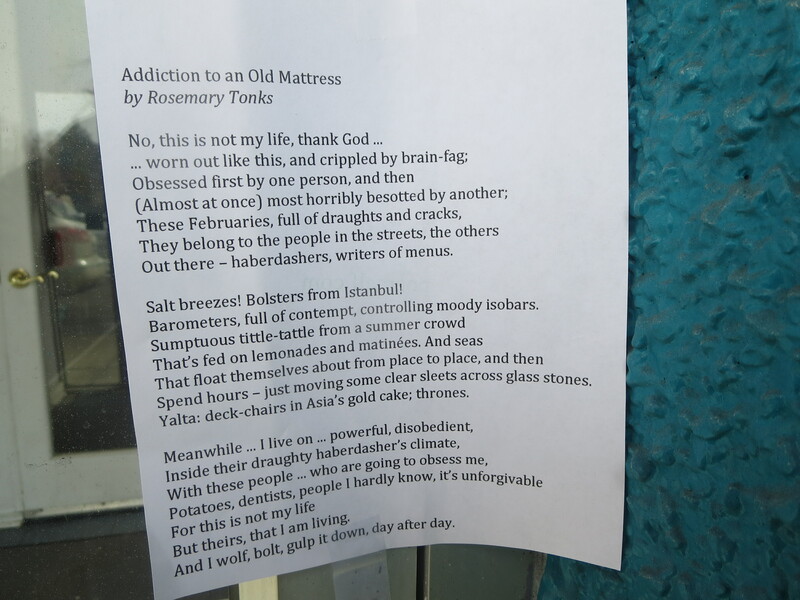 When I have trouble with a poem, as I did with “Addiction to an Old Mattress,” I turn to the nouns, working my way step by step on the concrete parts till I’ve paved some sort of path through a poem. The nouns in the title are a depressing pair, linked by an unlikely preposition. Maybe it’s her other poems speaking to me, but I picture her smoking in a run-down hotel room after yet another disappointing love affair. Dreary nouns populate the first and third stanzas. Here in a cold English February are potatoes, brain-fag, draughts, dentists, haberdashers. I thought haberdasher meant a person who sells men’s clothing, but when I looked it up I discovered that for Brits, a haberdasher is a dealer in sewing notions, small things. What could be duller, less ambitious, less imaginative than being a dealer in sewing notions? Maybe being a writer of menus. I’m not sure what she means by Bolsters from Istanbul! except that it instantly puts me on a ship. Bolsters can be oblong pillows on deck chairs or a technical nautical term for a particular beam on a ship. At some point we all want to get the hell out of our small lives and escape to some place or time grander, more beautiful, more exciting. Or just warmer. 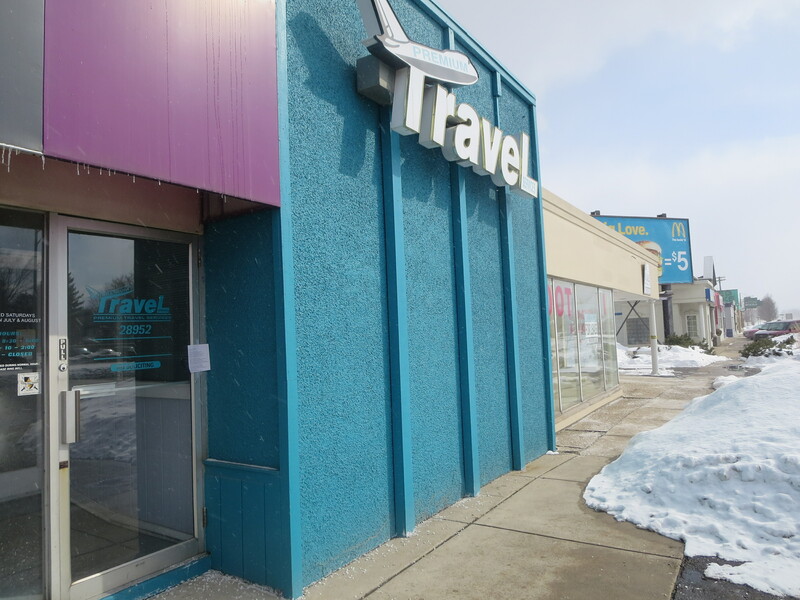 Which is why I left the poem outside a travel agency. The temperature that day barely reached six degrees outside, and inside my house, sixty-two. Rosemary Tonks was born in 1928 in southeast England, an only child. Her father died of malaria before she was born, after which her mother fell apart and was unable to raise her for a time. She was sent off to children’s homes and boarding schools. At 18 she moved to London and wrote and illustrated a children’s book. She married an engineer named Lightband (she didn’t use his name until after they divorced) whose job took the couple to India and Pakistan. There she contracted typhoid and polio and had to return to England. The polio withered her right hand, so she covered it with a black glove. It takes a lot of confidence to walk about with a single black glove. 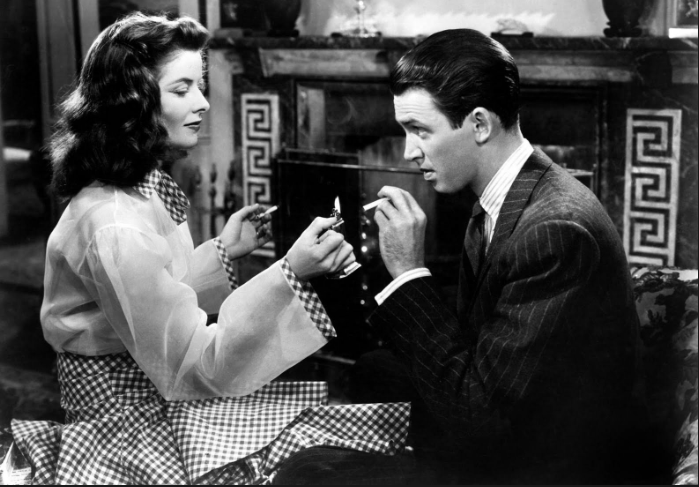 She moved to Paris briefly on her own and then settled back in London. She became a fashionable literary hostess. Through the sixties and early seventies she published six satirical novels and two collections of poems. After her mother died in an accident and her marriage ended, Tonks dropped out of literary and social circles. She disappeared—people thought she might be dead, or in Cuba or a convent. But she had changed her name to Rosemary Lightband and spent eight years searching for a spiritual practice. She tried Sufiism, Chinese healing arts, yoga, Taoist meditation. Eventually she found fundamentalist Christianity to the exclusion of everything else—writing, literature, relatives, friends. She was baptized in the River Jordan in Jerusalem the day before her 53rd birthday. Throughout her life Tonks had eye problems, and during her later years had an operation that made her blind in one eye. She lived by the sea and read only the Bible. She burned the novel she had been working on as well as all the pieces in her Asian art collection, which she believed were “graven images.” For a fascinating recounting of her life as a recluse, link here. She died just last year at age 85.